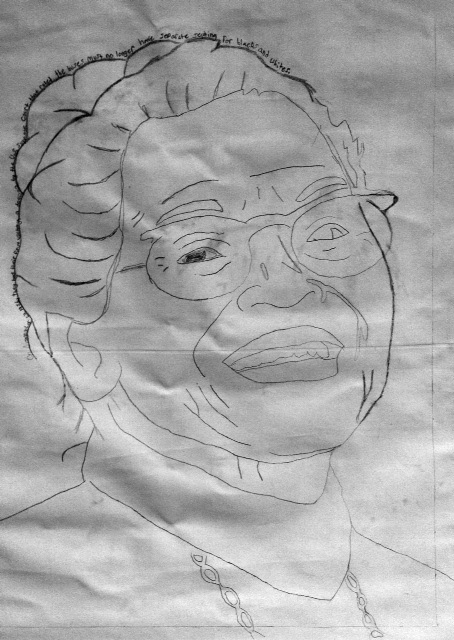 Just as President Obama dedicated a statue of Rosa Parks to be placed in the Capital’s National Statuary Hall Collection, fifth grade students at Mills Lawn started a large scale contour drawing of Rosa Parks as one of the three large canvases that will be the centerpieces for Project Peace. Excellent timing honoring Rosa Parks as one of the Hero/Peacemakers for our school-wide project! 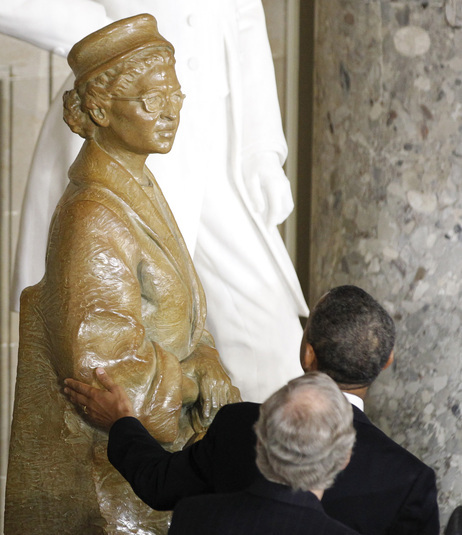 President Obama reflected that Rosa Parks was, “slight in stature, but mighty in courage” and who lived a life of “dignity and grace”. We’ll be able to read more about Rosa Parks directly from the portrait that students are creating as layers of text, biographical information and quotations, are placed on top of the line drawing. Click here to read the article about the statue dedication.